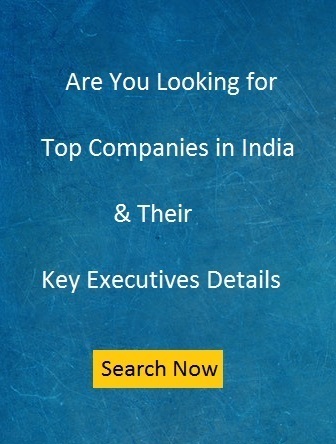 Looking for Hyderabad Companies Database to explore new business opportunities or any other purpose ? Fundoodata provides real time, refined database of Hyderabad companies including CEO, CFO, Marketing, Sales professionals details. You can get the Hyderabad Companies Database as per your business requirements including industrywise, employee, turnover, company entitywise etc. You can select the advance search filter to filter company data as per your business requirements. Hyderabad economy is mainly based out in bio-pharmaceutical industry, retail and real estate, information technology and tourism. Since its inception , Hyderabad has been a global trade center in multiple areas, including its status as the world’s only diamond market. City-based handicrafts were sold in the Middle East and Western countries. The city’s IT sector includes the business process outsourcing, IT-enabled services, entertainment and financial services. The leading multinational IT firms located in Hyderabad are Google, Thoughtworks, Microsoft, Samsung, Motorola, Texas Instruments, Hewlett Packard, Keweill, Oracle Corporation etc. Hyderabad emerged as a pharmaceutical and biotechnology hub and is known as India’s pharmaceutical capital and Genome Valley of India. The establishment of the public sector in biotechnology and the Genome Valley, ‘Fab City’ and the ‘Nano Technology park’ established significant infrastructure in bio-technology. The city is also contributing majorly in the growth and development of Hyderabad city. It is place of many of tourist destinations that are popular all over the world. Fundoodata is providing Hyderabad companies database on the basis of various criteria such as turnoverwise, employeewise, industrywise, key executives and entitywise. Get 100, 200, 500, 1000, 5000 crore turnover companies database of Hyderabad. You can choose from various search filters while choosing turnoverwise database of Hyderabad Companies. You can select 100, 200, 500, 1000, 2500, 5000 employees company data. Get manufacturing, service, advertising, automobile, BFSI, courier, logistic, e-commerce, export, garment, textile companies data of Hyderabad. You can also view MD, CEO, Finance, IT, HR, Marketing, Sales, Finance, Admin, Purchase executives data of Hyderabad companies. Andhra Bank, Aurobindo Pharma, Avanti Feeds, Hertiage Foods, HIL Ltd, Nava Bharat Ventures, NCC, NMDC are some of the leading BSE listed companies in Hyderabad.